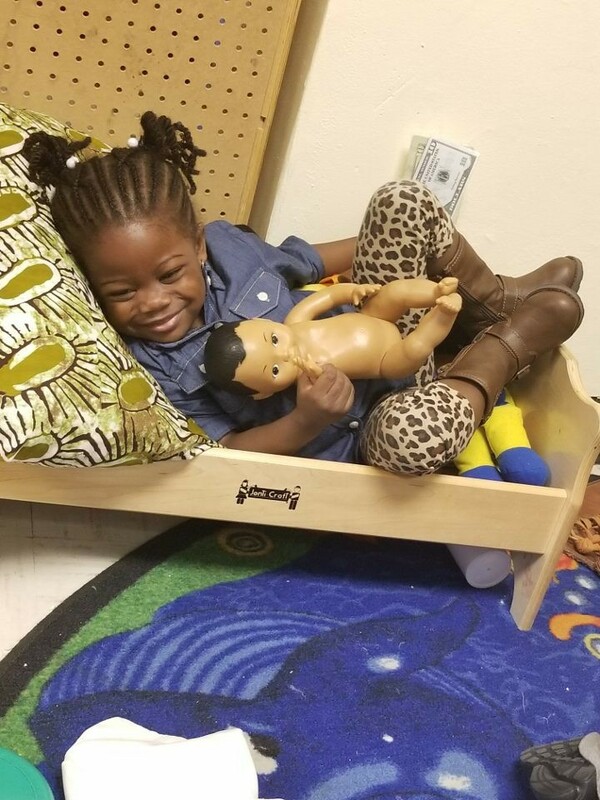 Look at that adorable face relaxing, smiling with her doll baby. All of our children love to play in dramatic play. For them this place to become real and become anyone they want to, as they dress as police men and women, doctors, chefs, firefighters, princesses and so much more. It’s a place to have fun and learn. A picture says a thousand words Ava is all cuddled up in the dramatic play area so relax watching her friends play and explore all possibility and create new adventures. LITTLE SUN PEOPLE is always a fun place and the ASANTEWAAS’S is always ready to party. The Harvest party was a blast. 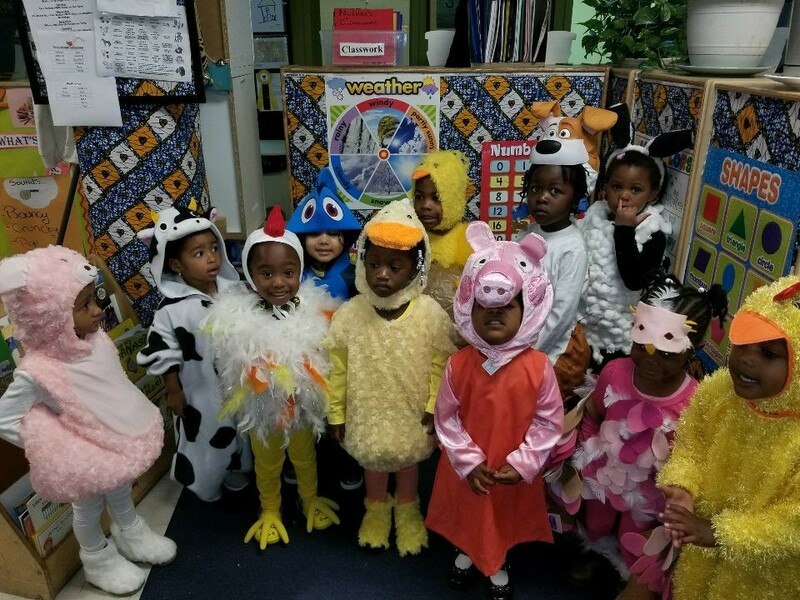 The children dressed up as farm animals danced, ate and enjoyed there goodie bags. They played games, won prizes, ran around and with their friends. This was a fun and learning experience. That month we learned about life on the farm, like what animals eat, where they live, how they provide essential for peoples life. They learn how to care for the animals and how to respect all living things. Look at the Asantewaas happy faces all dress up and ready to have fun. They were excited enjoyed their costumes and was proud to show off their outfits that their mom and dad created for them go ASANTEWAAS YOU LOOK GOOD.